New Delhi, India, April 22, 2016 /ChinaNewswire.com/ - The 100 smart cities mission launched by the government to inject our cities with the latest infrastructure and amenities is ambitious and unprecedented. The project requires smart planning and organisation to make Prime Minister Narendra Modi's vision a reality. Important factors include, preparing the roadmap with schedules for completion of each task; allotment of funds and resources; technical provisions to build smart cities; involvement of countries, ministries, associations, etc., and how their efforts can be leveraged to create “smart cities” in India. To address these questions, the Exhibitions India Group is organising the 2nd edition of Smart Cities India 2016 expo at Pragati Maidan, New Delhi from 11-13 May 2016. The expo will attract 350 exhibitors from 50 countries showcasing their capabilities over three days. Respected names like Logipix Ltd (Hungary) will display high resolution cameras for city surveillance; Cleverciti Systems GmBH Germany), will display sensors for managing parking; Ecube Labs (Korea), will display IoT based intelligent solutions for managing waste; REC Solar ( Noway), will showcase solar solutions, including integrated manufacturing of polysilicon to wafers, cells, panels and turnkey solar solutions; Sundrax LLC (Russia), will present Intelligent street lights; while Trestor Inc. (Canada), will demonstrate solutions for building smart communities, and many other innovators will demonstrate a wide variety of products and solutions. In addition to the exhibition, 300 leaders from around the world will converge at the conference including: Anders H. Lier (President & CEO, Enoro, Norway); Dr. Chirine Etezadzadeh (Head of Institute, SmartCity.institute Germany); Doug Haines (CEO, Haines Security Solutions, United States); Julian Marwitz (CEO, Arineos, Germany); Maria Adahl (Director, Open Arena-Urban Development, Sweden); and Ruben Dubelaar (Project Director, Dutch Sports Infrastructure (FME), Netherlands), etc. The forum will host concurrent conference sessions on topics including: “Evolution of connected transport ecosystems”; “Make in India”; “Solar rooftops technologies & engineering”; and “Waste management solutions”; “Debt & equity financing”; and “National and international policies and financing models”, etc. The expo will be a platform for other nations to share case studies, insights, and technical know-how while building smart cities in their own countries. Individual country pavilions at the expo will be from the Czech Republic, Holland, Norway, Sweden, and Taiwan. One of the largest pavilions at the expo will be hosted by the Taiwan External Trade Development Council (TAITRA) and Taipei World Trade Center Liaison Office (Mumbai), with more than 100 companies displaying their technologies, products and services. The country pavilion hosted by the Netherlands, will demonstrate the best smart cities solutions in the areas of electric mobility, smart infrastructure, traffic management, and urban planning, etc. The exhibition and conference will cover many segments, including: Waste and water management; Smart environment; Urban planning; Green buildings; Smart transport; IT & communications; e-Governance; Safety & security; Smart grid; Clean energy; Education & skills to build smart cities; Smart manufacturing; Make in India; Smart health; Disaster management, etc. 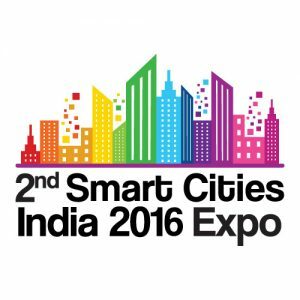 The 2nd Smart Cities India 2016 expo has the support of 10 central ministries and a host of international associations. Smart Cities India is an annual international exhibition and conference. The inaugural edition of Smart Cities India expo at New Delhi during May 2015, was a success with 207 exhibitors from 40 countries presenting their technologies, services and solutions. With 39 conference sessions and 241 speakers from 15 countries. 12,721 business visitors from India and abroad attended the three day expo. The expo connects exhibitors and speakers with government administrators, municipal bodies, industry leaders, investors, etc. The Exhibitions India Group is a trade promotion organization, organising international exhibitions and conferences since 1987, promoting trade and commerce, financial investments, joint ventures, technology transfers, etc. Who’s To Blame For Apple’s China Closure?